Vedic hymns echoed everywhere. For the ceremonial bath of Rama and Sita, the holy water of the Sarayu river was brought in pots of gold by attendants. Pundits recited hymns calling down benediction on them; the recitation was most heartening and pleasant to the ear. While Manthara, the maid of Kaikeyi, was returning the previous night, she witnessed the excitement of the populace and asked some one the reason. She came to know about the imminent Coronation of Ramachandra, which was the cause of all the joy and exultation. She also saw the maids of the Palaces of Kausalya and Sumitra dressed in jasmine-white saris and bedecked in costly jewels, hurrying hither and thither. She could not bear the sight any longer. She had creeps all over her body like scorpion-stings in plenty. She ran towards the palace of Kaikeyi, and finding that the queen had already retired into the inner apartments, she neared the door and shrieked, "Mother! Mother! Open the door! A very urgent matter, now! Your life itself in mortal danger! An earthquake is afoot". Hearing her excited announcement in words that rolled one over the other, the Queen hastily opened the door and inquired in fear, "Why? What has happened? What is the calamity? Has anything caved in? Why all this anxiety and pain?" "No, nothing of mine is destroyed. Your life is being destroyed, that is all. You have to live hence-forward as a crazy care-worn woman", Manthara said. All in tears, she elaborated the pitiable state that awaited the queen and with many a gesture and groan, she lamented, loud and long. Kaikeyi could not make out why. "The Maharaja is quite well, isn't he? And, Rama, Lakshmana? Kausalya? Sumitra? There is nothing the matter with them? Well! If these are quite well, and no danger threatens them, I am not worried at all. What can happen to me? Has any danger come to them, tell me, Manthara! Tell me soon! ', the Queen insisted. She turned the maid's head towards her, held her chin in endearing appeal and pleaded for an answer. Manthara replied, "Nothing evil has happened to those whom you mention! But, they have decided ...... to wring the neck of your son! ", and she broke into a pathetic wail. At this, Kaikeyi retorted, "You are committing a mistake, Manthara! The Maharaja is not such a person; nor is Rama, or Lakshmana, or my sisters, Kausalya and Sumitra! These my sisters love my son even more than their own sons. Your statement reveals your warped mind, that is all. It is not the truth! Well, you have not told me yet what the matter really is; come on, tell me the full story." Manthara answered, "Matter? At dawn tomorrow, Ramachandra is to be crowned Yuvaraja! The Senior Queen, her mind full of unrestrained joy, is giving away costly silk saris and jewels to her maids. She is asking Rama to give away gold and cows in plenty. Engaged in all these activities of celebration, they are neglecting you! I cannot bear this in silence. I cannot tolerate it. You are unable yet to understand the implications. You revel in the empty boast that there is none so fortunate. Your fortune is drying up fast. For your husband and co-wives, you have become a neglectable person. Before long, you will be reduced to the despicable status of a maid. Be advised to be a little alert, ere that humiliation overtakes you. Awake from sleep; plan your course of action with full awareness of the consequences. Decide upon the means by which you can escape from the calamity that yawns before you; it is approaching you fast. "When Rama becomes Yuvaraja, the entire empire will be held in the grasp of Kausalya, remember! Just as every one else, you too will have to dance to her tune." Manthara was acting her role and shedding false tears to reinforce her wily stratagem. Kaikeyi was impressed by her loyalty, but she was not convinced of the rightness of her arguments. She said, "Manthara! What has happened to you? Have you become insane? Why do you talk like mad! 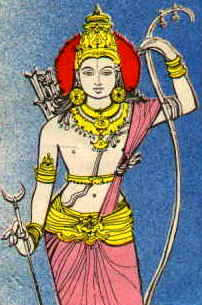 Rama becoming the Yuvaraja is the happiest augury for the entire empire. Here, take this necklace of mine, as a reward, a gift, for bringing me this great good news first! Be happy, be full of joy! The coronation of Rama as Yuvaraja gives me even more joy than perhaps to Kausalya. My joy at this good news is boundless. Ramachandra too loves me more than he does even his mother, He reveres me more. I will not listen to such imputations against such a pure, loving person. You seem to have lost your wits; your reason has taken leave of you." Kaikeyi reprimanded Manthara sharply. Manthara became even more demonstratively aggrieved. She got more excited and clamorous. "My reason is clear and fresh; it is yours that has suffered!" she ejaculated. "You are not concerned about the evil rate that awaits you. You hug blindly your old faith and fond attachment. I am anxious and worried for the sake of your happiness and self-respect. The others are all play-acting and pretending, just to deceive you. They have no respect for you in their hearts. The Maharaja has no love towards his other Queens: he is enamoured only of the Senior Queen, Kausalya. Just to please you, he might use endearing words now and then, that is all; but, he has no love in his heart towards you. Consider this. These people did not inform you; they did not consult you about this proposal, for they have no regard or respect for you. Have they spoken to you about it even once, on one single day? Consider how many months they usually deliberate and plan in order to come to such a decision. You cannot have a Coronation so suddenly; it doesn't drop from the sky one fine day on its own ..... can it? But, they have decided silently and secretly." "The whole thing is the intrigue of Kausalya" asserted Manthara. Kaikeyi could not suffer it any longer. She burst out: "Stop that stuff, Manthara! My sister is incapable of intrigue; she will never descend so low. It can never be. And, the Maharaja? He is much nobler, more righteous than even my sisters! You cannot find in him a trace of subterfuge or meanness. They must have resolved upon the Coronation quickly, for good reason. The wedding celebrations of Rama which would have involved months of preparation took place at short notice, didn't they? So too, the Coronation of Rama might have been decided at short notice; why should it not be? The Maharaja himself will reveal to me the special reason that induced him to arrange it so. You have not cared to know the truth; you have conjured up all kinds of absurd reasons and baseless fears and cast doubts on the motives of innocent persons! In a few minutes, things will be clarified; have patience." Kaikeyi admonished the maid severely. Manthara feared that her stratagem will fail ignominiously. So, she stooped to even worse tactics of persuasion. "Dear Mother! Ponder over the matter a little more deeply; I have listened to many things while moving about, outside the palace. In fact, this Coronation affair has been decided upon, months ago. That is the reason why Bharatha and Satrughna were packed out of the capital. They were apprehending that their presence here will cause complications. And, there must be good ground for such fears; or else, who will arrange for the Coronation when they are away? Have you become incapable of asking yourself this simple question? Formerly, when you were accepted in marriage, Dasaratha had promised and given his plighted word that the son born of you will be crowned king of this realm; you might forget it, but I refuse to. It is the fear that the presence of Bharatha here at the present juncture might rouse the memory of that promise and prove an obstacle to their plan, which made them keep Bharatha out of the way, by sending him to his grandfather's place. When once the Coronation is accomplished, nothing can be done to reverse it. To promote this mean trick, they kept the idea secret and kept it from you so long; think about this for a while, the inner design. You do not spend any thought on such matters; you believe 'all that is white is milk!' Your foolishness and innocence are taken advantage of by others. You simply exult in your love for Rama and recite 'Rama, Rama,' in your infatuation. Well, leave everything else aside! Did that Rama, whom you love so greatly, did he at least inform you of this great good fortune happening to him?" The crooked-minded Manthara used many a specious and cunning argument to cloud and poison the pure unselfish mind of Kaikeyi. She said, "Mother, who is there in this City of Ayodhya willing to pay some little regard to us? Who treats you here as worthy of count? They are all one, united against you. You are a stranger here. They might even throw you out of Ayodhya shortly; they will not desist from even such meanness. The Emperor is a crafty trickster, a clever juggler; when he approaches you, he speaks soft endearment to satisfy his whims; and then he departs triumphant! You do not realize the fault in you which is preventing you from attaining the high status you deserve. Mother! You may remember, the kings are ever ruled by lust, and not by love. Your father knew this fact, and so he did not agree to give you in marriage to this aged suitor. After prolonged negotiations and confabulations, through the intercession of sage Garga, when it was decided that you be given in marriage, the suitor was compelled to agree to many conditions. "This day, those agreements have been cast into flames; and your son has been cheated; all the while, they are quietly playing their merry drama! Else, why should they take advantage of this chance, of your son being away? Why should they be in such hurry that no ruler can attend the Coronation from any State beyond the bounds of the empire? Consider how their low mentality reveals itself! How full of mischief and deceit are they! "When neighbouring Rulers are invited, your father will certainly not miss the opportunity to attend. Naturally, he will bring to the notice of all the promise made to him. So, the plan is to get through the Coronation without informing anyone, and once that is over, they know, nothing can be done to undo it. This conspiracy is hatched by the wily with this objective; so, be warned in time. Once this moment is missed, your fate will be as contemptible as that of a dog. Therefore, do not delay; ponder deeply; decide upon some method of preventing the Coronation from taking place". Manthara fanned the flames of anger and hatred. Kaikeyi succumbed to her machinations, at last! She said, "Hearing your words I feel that each statement is more convincing than the previous one! Yes, indeed! This is no matter that can wait. What has to be done next? If you can indicate the step I have to take, I shall put it into action". When Kaikeyi gave this clear sign of having been won over by her wiles, Manthara was overwhelmed with pride and joy. She spoke with greater assurance now. "Mother! There is no need to spend further thought. The arguments that can support your demand are ready and strong. That day, when the Emperor thankfully accepted your timely help, did he not offer you two boons, any two you might demand of him? And, did you not tell him that since you had no need then for anything, you would reserve the gift and ask for the two boons when the need arose? This day, these two will serve a thousand purposes! You can demand that he grant them now, can't you?" When Manthara spoke thus, plainly and emphatically, Kaikeyi raised her head as if she was startled, and said, "O Manthara, how clever you are! Though in appearance you are an ugly hunchback, in resourcefulness and intelligence, you are extremely charming. Though wanting in beauty of body, you make up by being an expert in intellectual attainments. Tell me how I am to secure these two boons, and what those boons are to be." Manthara replied, "Mother! One boon shall be that your son shall be crowned Yuvaraja. The second can well be that Rama shall not stay in the empire". Listening to her suggestions, given on the spot, without a moment's thought, Kaikeyi fell into a trough of reflection; she said, after recovering herself, "Manthara! It may be a just demand that my son should be crowned, but my mind will not agree to send Rama out of the kingdom. I am pained at the very thought". With that, she dropped into a seat. Manthara saw that she must act quick. "Mother! This is no occasion for sentimental qualms. Procrastination turns even ambrosia into poison. You have to be a little firm or else, we cannot succeed in our plan. For the cruel wrong done by them this is no adequate reprisal. If you desire that your son must rule as King and that you should have the status of the Queen-Mother, then, act this way; or, I shall end my life by taking poison. I cannot bear to see you suffer while I am alive". Manthara wept aloud, as if she was carried away by intense love and attachment towards Kaikeyi. She was the nurse who brought up Kaikeyi from childhood; she had petted her, played with her and fondled her, all these years. Towards Manthara, Kaikeyi had great affection and regard; she raised no further objection; she started to calm her sorrow instead. "Manthara! Rest assured! I shall, without fail, act in such a way that you are pleased. Tell me how shall I act now?" she said. Manthara replied, "When I suggested you should ask that Rama be sent into exile into the forests beyond the realm, do not imagine, I had not weighed the consequences. I did it only after due deliberation". Since Kaikeyi was a child in political affairs and legal lore, she said. "The law declares that unhampered possession and enjoyment of usufruct for twelve continuous years give the person ownership of the property. So, it is better to fix a length of years for the exile, say, fourteen years; when he returns after that period, he cannot claim the kingdom; it becomes the unquestioned property of your son". Manthara noticed that the Queen had accepted the proposal to ask for the two promised boons in the form suggested by her. So, she said, "Mother! Don't delay further! If you beg him for the boons, just as you are now, the Emperor will not be persuaded to yield. You must work up a wave of rage; scatter the pillows and sheets in your bedroom; throw off your jewels into the corners; loosen the hair and make it wild and disheveled; act as if you have resolved to give up your life! Go and lie down on the floor of the Hall of Anger, the room where queens who are overcome by anger and grief retire, so that they may be discovered and consoled. You cannot just go to him as you are and straight away ask for the boons. Pretend that you are in desperate agony and that only the grant of the boons can save you from death. Then only will your demand be worthy of consideration and acceptance. Rise! Take the first step for the work ahead!" When Manthara pressed her, Kaikeyi yielded to her persuasion, and after carrying out her directions, she entered the Anger Hall and lamented her fate and the impending calamity. And, Manthara flopped on the floor outside the door of that Hall, after drawing the doors together, as if she was unaware of what was causing all the furore inside. Meanwhile, the Emperor has finished making all arrangements for the Coronation Ceremony, and when he emerged from the Durbar Hall, he felt that, instead of proceeding to the apartments of Kausalya, he should communicate the happy tidings to Kaikeyi first; so, he hurried towards her palace. The maids who stood at attention all along the passage appeared upset with anxiety; the Emperor argued within himself that they had not heard the good news; for, it would have lit up their faces! He pitied them that they did not know that Rama was to be crowned the next day! He directed his steps to the bedroom where he expected the Queen to be. There his eyes fell on the scattered jewels, the unkept bed, the heaps on the floor and the general state of untidiness and distraction. He was surprised at all this and searched for the Queen in the room peeping into the corners. A maid-in-waiting announced, "Maharaja! Her Highness Kaikeyi Devi is now in the Hall of Anger". Hearing this, he was gravely upset; he turned his steps in that direction. Kaikeyi was sprawling on the floor, in the blinding darkness of the room, wailing and weeping. He said, "Kaika! What ugly scene is this! Why are you so angry? Who caused you so much sorrow? Tell me, I shall kill them this very moment; I shall confer joy on you. You have only to tell me what you desire; I am ever ready to fulfil you wish. Your joy is my joy. Don't you know that I have nothing in this world higher and dearer than you? Come, do not test me further". The Emperor sat by her side, and, caressing her head, he consoled her in various ways, and questioned her about the reason for her anger and grief. Kaikeyi was in a fit of rage; she gnashed her teeth noisily; she threw aside the hands of the Emperor when he tried to fondle her. She said angrily: "Enough of this false pretence! I put faith in you so long, and this is the degradation I have brought on myself! I do not trust you any more. I could not believe that you are capable of this hypocritical game. Is this the punishment for putting faith in you? Go, go to your favourites; why sit here by my side? You mortgage your mind in one place and your tongue in another. Give your tongue to the place where you have given your mind. I am not in a mood hereafter to place faith in your words. Do not inflict more sorrow on me, but, go back the way you came. What do you care what happens to me? Better to die as a queen than drag on as a slave! This day is the last day of my life." These wailings heard between her sobs and sighs conveyed no meaning to Dasaratha. He was utterly confused, and struck with amazement. He moved nearer the Queen and tried to console her and assuage her anger. "Kaika! ", began he, "What do these words mean! I do not understand. I never use false hypocritical words, nor can I ever use them. My mind and my tongue act in unison; they will ever be the same; where my love is, there my sweet expressions will be. My tongue will not falsify my mind; it is impossible for it so to behave. I do not know how it has happened, how you have not been able to know me and my sincerity in spite of the lapse of many years. Without telling me plainly what has actually happened to give you so much grief and pain, do not torture me like this. Tell me what has happened, why are you behaving like this? What has caused you this agony?" Dasaratha pleaded piteously for a long time, but with no effect! The Queen only retorted sharply, brushed aside with effrontery, ridiculed sarcastically and turned a deaf ear to the importunities of the Emperor. She pretended as if she treated his words as of no worth. Dasaratha was wounded very deep in his heart. Not knowing what to do, he called Manthara in. She rushed in, play-acting her conspiratorial role, shrieking for help for the queen, her mistress. "O King! Save my mother!" she cried and clasped the feet of the Emperor. The Emperor was really the embodiment of innocence; he had no trace of duplicity in him. So, he could not see through the drama they were enacting. He feared that some calamity must have happened to make his beloved so perverse and stern. So, he asked Manthara again to tell him what exactly had taken place. Manthara said, "Maharaja! What can I tell you? I am not aware of the least bit of what happened. Mother does not divulge the reason for her anger to any one. All of a sudden, she hastened from the bedroom into this Hall of Anger. Noticing this, I came hither. I prayed and pleaded in various ways, but she does not disclose the reason. She does not confide even in you; will she then reveal it to poor me? We see her suffering and in agony; it is unbearable; we cannot simply look on any longer! We are afraid of what might happen to her, and so, we have been waiting for your arrival. Unless you comfort her and bring joy into her mind, her condition might become critical. She has suffered too deep and too long. Her condition is growing worse every moment. We will retire now." Manthara left the Hall with the other maids, saying: "Please find out from her the reason for her grief and anger and pacify her soon by appropriate remedies". Manthara only added to the mystery, and Dasaratha was even more confused by her statements; he sat by the side of the disconsolate Queen, and said, "Kaika! Why do you keep me in the dark?" He gently lifted the head of the Queen from the bare floor and placed it on his lap, and sought to persuade her to reveal to him the reason for her inconsolable suffering. After some time, Kaika shook off her silence, and began to speak. "Maharaja! You haven't forgotten, have you, the two boons you promised to confer on me, that day, during the battle between the Devas and the Asuras?" Dasaratha was relieved. He said, "Kaika! Why have you put yourselves into all this temper and pain for the sake of this simple thing? I will not forget the promise of the two boons so long as there is life in me. That promise is as dear to me as Kaika herself; you are the breath of my life, and the promise too is as the breath. "Queen! Has any one harmed you? Or, is your health affected adversely? Or has any wicked person dared act against your will? Speak! For your sake, I shall face even mortal injury, and punish them so that happiness may be restored to you. Do not doubt me. O, Embodiment of Charm! Why do you suffer thus? Are you unaware that the entire Empire is at your beck and call? Whatever you wish to have, from any region, you have only to tell me, I shall secure them for you and bring you joy. Inform me, what is it that you fear, what has brought this sorrow; do not withhold any thing, or hesitate to speak out! As the sun scatters the mist, I shall shatter the grief that smothers you". Dasaratha fondled and flattered the Queen, and tried various means of consoling her and restoring her spirits. Kaikeyi kept in her mind the advice that Manthara had given her; she resolved that she must secure from her husband a promise on oath, before revealing her bitter wishes to him. To induce it out of him, she displayed exaggerated and seductive love, and wiped the tears from her eyes; she held firm the hands of the King, so pitiably enslaved by her enchantments and so greatly enamoured of her charms. She said, "Lord! I have no resentment against any one, nor has any one done me any harm or dealt me any insult. I have no craving for anything from any distant region of the earth. But, I have a long-nourished desire, I must admit. If you swear on oath that you will fulfil it, I shall tell you what it is". She enticed him with a smile playing on her face; Dasaratha too smiled in response, and sliding a little towards her, said, "O, you foolish Queen! For this one simple affair, why was it necessary for you to put on so much of temper, and cause so much of anxiety and anguish? Hear this: Among women, you are most dear to me; and, among men, Rama is most dear to me. You are both my very breath. You know this well, don't you? I cannot survive a single day without feasting my eyes on you and him. Therefore, I swear on Rama himself. Tell me what your wish is; I shall fulfil it without fail". When he declared thus on oath, with both her hands in his, Kaikeyi was overwhelmed with joy! She rose and sat up; she demonstrated even more love towards him for she was glad he had changed into a well-wisher of hers. She asked, "O King! You have sworn on Rama; he is the witness to the oath; is this genuine?" and, she made her position doubly secure, saying, "Lord! You are a Votary of Truth! You are the Highest among the Righteous! You are endowed with sovereign Might and Majesty! You must have in your memory the war between the Gods and the Demons; yet, let me remind you of that exploit once again. That day, when the Demon Sambara slaughtered all before him, you struggled desperately to defeat him. Had I not guarded you and nursed you into life, keeping myself vigilant and alert, you know what would have happened to you. You appreciated my devoted sacrifice and declared, 'Kaika! you rescued me from death itself. What can I give you in return! Whatever it may be, ask me two boons; I shall fulfil them, and repay the debt I owe you, the gratitude I have to evince.' You desired that I should name the boons you offered to grant. But I felt then that your coming back to life was itself the most precious boon for me, and so, I replied, 'Lord! I have no boon to ask from you now; I shall present my request for them some time later; Keep them with you in reserve for me,' I pleaded with you. You were elated at my attitude and expressed your admiration! You said you liked my renunciation, and declared that the boons will be kept on trust, so long as life lasts, and can be drawn upon with no objections raised. All this must be fresh in your consciousness, aren't they? You are the monarch of the earth. You are faithful to the plighted word. Therefore, give me now the two boons of mine that you kept in abeyance on my behalf. Make me happy thereby. I do not demand any new boon from you. I ask only for what are really mine. I need not remind you; you know very well that it is a heinous sin to refuse to give back riches placed in trust in one's hands for safe custody. If you say now that you cannot grant them, you will be injuring me, with that breach of faith. I cannot bear the disappointment; rather than live with that sense of defeat, I consider getting rid of life is more honourable. When the husband does not honour the word given to the wife, how can the wishes of the people in the kingdom be realized? An Emperor who stoops to deceiving his wife, making her believe him and then acting against that belief, does not deserve the position of protector of his subjects, does he? You know that the lawgiver sage Manu has laid down that such ungrateful prevaricators should not be treated as monarchs. Why should I dilate further on this point and repeat a thousand arguments? In case my boons are not granted this day, Kaikeyi will not be alive at dawn". Announcing thus, she burst into loud weeping and wailing. Dasaratha was rendered helpless and weak by her histrionics; like an innocent deer that is drawn into the net spread for his capture by the imitative cries of the hunter, Dasaratha overcome by cooings of love and drawn by the entrancing gestures of the Queen fell into the trap, like an insane ineffective man. He vowed solemnly "I shall certainly give you the two boons," holding her palms tightly in his. No sooner were those words uttered than the eyes of Kaikeyi bloomed wide and bright. She watched the face of Dasaratha intently for some time, and said, "O King! This day I have realized how good you are! This day, you have proved the genuineness of your claim that you will never break a promise once made". She started extolling Dasaratha in this and other ways. The love-lorn Emperor was highly elated by her praise; he urged her on, with the prompting, "Kaika: Why do you delay further? Ask! Ask for the boons!" Kaikeyi hesitated; she stuttered: "With the arrangements made for the Coronation of Rama, perform the coronation of Bharata, my son: this is the first boon I demand! Next, Rama, wearing matted hair and deerskin, and dressed in tree-bark raiment, shall go into the Dandaka forest and remain there for fourteen years, as a forest-dweller; this is the second boon I ask for. 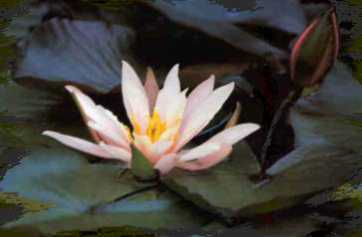 Bharata must become the Heir-Apparent, with no one obstructing his path. Rama must be sent out into the jungle before my very eyes. Grant these two boons and maintain the honour and dignity of your line untarnished; or else, assent to the extinction of Kaikeyi's life this very moment". Thus declaring, she stood up and stared wildly in a determined stance, like a demoness.